On Jan. 20, 2019, the curtain finally fell on the long and distinguished career of Australian professional cyclist Mathew Hayman. 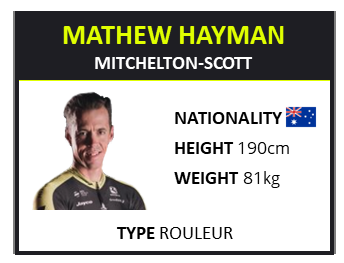 Over his 18 years of professional racing, Mathew became a respected Grand Tour domestique and classics specialist, and took a well-deserved win at the 2016 Paris Roubaix. In this two-part series, we’ll look through Mathew’s career using his data in racing and training from 2006 to 2019. In part one, we’ll hear from Mathew and his coach Kevin Poulton (currently the head coach of Katusha-Alpecin), about the biggest changes and most important factors in Mathew’s training over the years. Mathew’s professional career started in 2000 with the U23 Rabobank team, eventually progressing to the World Tour Rabobank team as he moved up the ranks. We asked Mathew about the biggest change he saw, and he said to start with the use of power meters. Watch any professional cycling race today, and you’ll see most riders using power meters. It might seem like they’ve been around forever, but they actually only became common in racing within the last decade, with major improvements to the weight, cost, and integration of the devices. “When I started, we would do lab tests to set heart rate zones and go from there. The early power meters were very limited in supply, reliability, availability — and cost was a major issue. During my pro years that changed, and now [power meters] are a necessity at this level of the sport.” -M.H. In the 90’s Greg Lemond and the english-speaking teams led the charge with power data, and by the early 00s, the more forward-thinking European teams were starting to use it as well. Lucky for Mathew (and for our analysis), Rabobank was one of them. The number of racing days in a season was another big change Mathew saw in his 18 years of racing. At the beginning of his career, from 2002 to 2007, he logged over 80 race days every season, topping out at 110 in 2006. At the latter end of his career, he saw, on average, 20 to 25 days of less racing. This change is a reflection of the evolution of team strategy. “The season is now periodized for almost every rider on every team. Gone are the days when a rider would just go from one race to the next all year… the only training pretty much being recovery!” -M.H. In modern cycling there is little room for error, and even small changes in a rider’s fitness can have dire consequences for the team’s performance. With a more individualized periodization approach, teams can rotate peaking riders into priority events while others are building or recovering. This is also a way to get more peak performances out of a given rider each season. “No longer are races used for training… I’m sure early in Mat’s career he would be expected to have two peak periods of fitness in a season. What we see now is riders having four to five peak periods in a season…This point alone has changed the way the training year is structured.” -K.P. Check out Mathew’s 2015 Performance Management Chart (below) for an example of this new strategy. The season starts with his preseason block in preparation for the Tour Down Under. He also did an altitude camp in South Africa prior to the big European spring classics. A well-deserved rest at the end of April led into another big training block that would take him into the Tour of Switzerland, again including a stint at altitude. The last build of the year started in mid-July as he turned his focus on the Vuelta. 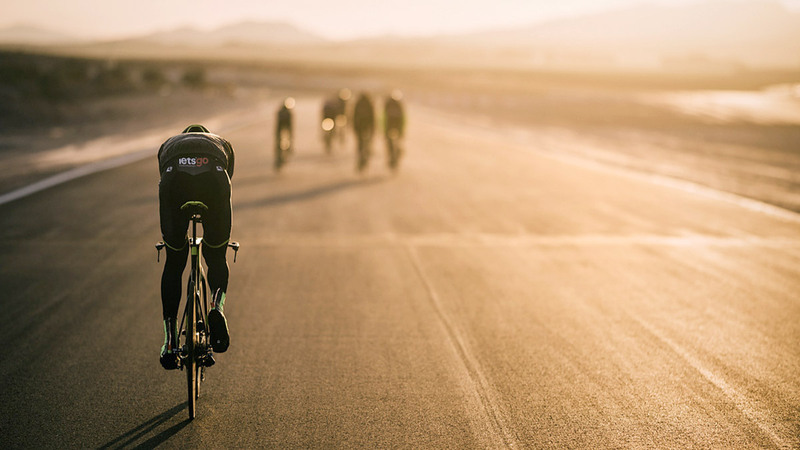 These strategic stints at altitude, racing blocks in peak fitness, and planned recovery periods are now part of many professional riders’ yearly routines. Example of a tempo training session done by Mathew. Total normalized avg. power is around the lower end of Tempo zone for five hours. Within the ride he produced 2×20/25-minute efforts of 340 W/.83IF and 360 W/.88IF – this was a typical tempo session. Note: Tempo sets are done at the end of a ride to maximize muscular endurance and mimic racing demands. In a general sense, the ‘Tempo’ range is around 76 to 90 percent of your FTP. Over the course of Mathew’s career, this would have changed with his fitness levels, but usually landed around 310 to 360 W.
The efficacy of riding in Zone 3 / Tempo has been debated in recent years, because it is generally considered an unproductive grey zone between significant positive adaptation and recovery. Yet the fact remains that if you are racing in events longer than about two or three hours and shorter than about six or seven hours, you will spend a lot of time in Zone 3. In many of the major classics Mathew raced, for example, his normalized average power landed right in the middle of his Zone 3. Another big benefit of Zone 3 training is the opportunity to quickly build up high kilojoules, in order to replicate energy usage during a race. To accumulate 3000+ kilojoules in Zone 2 would take forever, and to do it quickly by maintaining a high intensity (threshold and above) would build an extreme amount of fatigue. Using the Tempo zone to fulfil this big kilojoule target hits a happy (and race-representative) medium. Of course, a workout with lots of time in Zone 3 combined with high volume usually results in a high TSS score (think 250+), so these would have been recovery-intensive sessions. This could have presented a challenge during specific training. Below is an example week which Mathew completed in May 2018. This was the start of a new training phase after a break post-classics. In this we see five strategic indoor workouts, which are built around outdoor endurance and strength sessions. Note the cumulative TSS score of 1199 points. For most cyclists, this would be a very high score, but for Mathew this was a standard total when using lower intensive training blocks to build up muscular strength and aerobic endurance. Mathew rode over 28 hours this week, but the Intensity Factor (IF) of each ride averaged around just .67 to .74. Combining two sessions while maintaining a moderate intensity throughout each session was enough to produce a solid training stimulus without accumulating excessive fatigue. This week was also manipulated with a nutrition strategy based on increasing fat oxidation. With the IF for most of the rides at a moderate intensity and with the TSS scores (even for the bigger days) mainly between 190 to 230, we can see that Mathew was careful not to overdo the intensity or overall stress during this period. To add another wrinkle, this particular week was also done at altitude. Once the domain of Grand Tour GC favorites, altitude training has now become a mainstay in many riders’ routines. We can see from his PMC that Mathew built his training around stints at altitude, strategically placed at times of the year which brought around the most benefit. Altitude training and hypoxic tents are now part of the routine for many professionals. This constant exposure to altitude training as a training tool has led many riders to move permanently to cities at altitude — many top riders live in Andorra, for example. The benefit of having such a wide range of power data over the course of many years is that we can compare development in each area of performance over a prolonged period. Mathew has been known as a classics rider, which generally means being able to maintain high power output for prolonged periods of time. Using the years in which we had consistent data from Mathew (2007 to 2019) we have his peak ever powers. His weight over his career remained generally static — around 80 to 82 kilograms. Also note he used different power meters throughout his career, so there may be slight discrepancies in the data. To make this data relevant to his consistent power readings each year, we’ve done an peak power average for the years from 2007 to 2019. Mathew’s longevity in the sport is due to his ability to consistently maintain world-class fitness, and he was able to hit these high standards until his final years of racing. We generally assume that physical fitness will start to deteriorate over time, particularly for riders in their mid- to late-thirties, but for Mathew, this wasn’t the case. In fact, he won Paris-Roubaix in the final three years of his career. With significant changes to data, team strategies around peaking, and attitudes about altitude training, it’s impressive to see the consistency Mathew managed to maintain over his long professional career. Thanks to both Mathew and Kevin for their assistance with this article. In Part 2, we take an in-depth analysis on how Mathew trained for specific goals and how this was managed.